Florida Receives Offshore Drilling Exemption, But What about Other States? 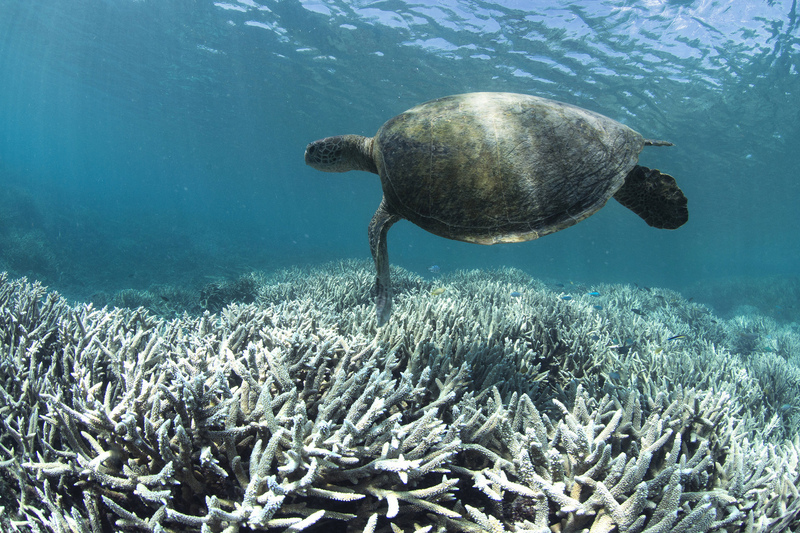 Turtle swimming over bleached coral reef in Australia’s Great Barrier Reef. (c) The Ocean Agency / XL Catlin Seaview Survey / Richard Vevers. Two new reports in Science magazine confirm what we’ve been seeing for years: climate change and nutrient pollution are contributing to dead zones in the world’s ocean – in part because a warmer, more acidic ocean holds less dissolved oxygen. Another study of 100 reefs showed coral bleaching is occurring globally at least once every six years. The most recent wave reduced half of the corals in Australia’s Great Barrier Reef (watch the Academy-Award nominated film ‘Chasing Coral’). And of course, climate-induced extreme weather events like hurricanes Harvey, Irma, and Maria contributed to making 2017 the costliest year for natural disasters in U.S. history. Munich Re, one of the world’s largest insurance companies, estimated it will break an industry record with approximately $135 billion in disaster relief payouts. According to the National Oceanic and Atmospheric Administration (NOAA), the total cumulative damage of last year’s floods, fires, and other weather events was $306.2 billion. Some scientists and economists are now telling us what’s become obvious to most. We have to get off of fossil fuels ASAP. 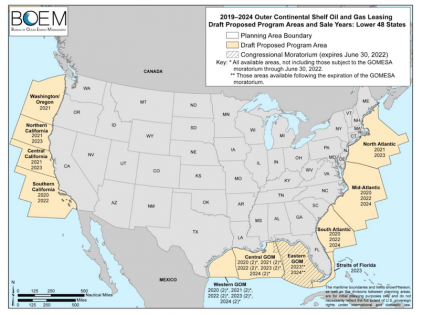 2019-2024 Draft Proposed Program in Pacific, Gulf of Mexico and Atlantic Region. Yet on January 4, 2018, Secretary of Interior Ryan Zinke released the Trump Administration’s plan to open up almost all of our public seas – expanding access to the Outer Continental Shelf (OCS) to new oil surveying, drilling, and inevitable spilling. Opening up the East Coast waters from Maine to Florida, new areas of the Gulf of Mexico, waters off California and the entire West Coast and the Arctic Ocean off Alaska is ridiculously irresponsible. The gauntlet is down. If this Administration wants to transform our public seas into an oil-stained garbage dump, then we’ll meet them in the streets and beaches to defend our environment and blue economy. Like Churchill speaking of one of the last existential threats to our planet, we will never surrender. Dissenting voices are emerging even from unexpected quarters like Florida’s Republican Governor Rick Scott who is vowing to fight Trump’s drilling plan to protect the Sunshine State’s tourism industry. 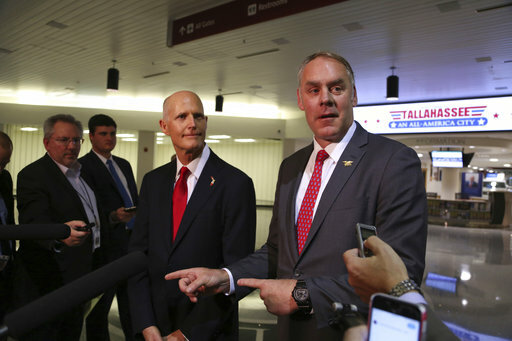 Within days the Trump Administration and Interior Secretary Ryan Zinke reversed course and pulled Florida out of their plan. Today, other states are now calling for exemptions including California, New York, Virginia, and South Carolina. This rise in opposition to open up 98% of the Outer Continental Shelf suggests that by mobilizing a broad coalition – including Republican leaders – we can win this battle from coast to coast. Of course, California has long since decided it’s time to turn from fossil fuels to renewable energy including wind and solar (over 3.2 million Americans are now employed in clean energy about 2.5 times more than fossil fuels). 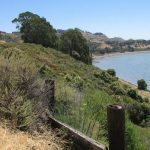 The Golden State does not want nor need to drill the seabed off Santa Barbara – the site of the historic 1969 Union Oil Spill – while recovering from climate-intensified drought and firestorms in the hills above the city. This latest wave of resistance to tackle Big Oil is likely to accelerate the pace of the March for the Ocean on June 9, 2018. 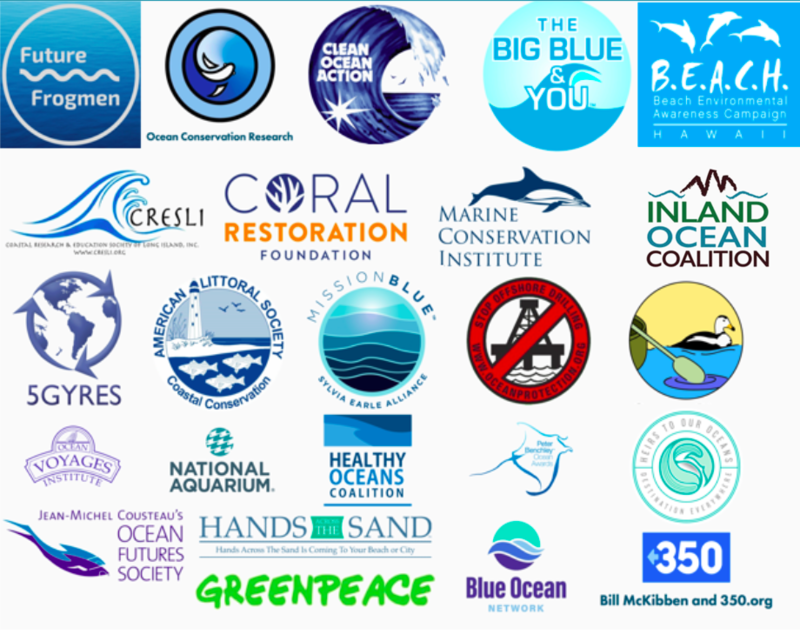 With 70 partners including environmental organizations, fishermen associations, aquariums, and local businesses, the blue movement is showing signs of significant growth. 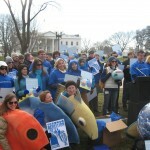 Plans are underway to mobilize schools of people to wear blue and march during World Oceans Day weekend. Action plans include a flotilla on the Potomac River and a march in Washington D.C. along with sister marches from sea to shining sea. These large demonstrations and public events will not simply oppose the Trump Administration even though, like harmful algal blooms, their bills, regulations and executive orders threaten the very existence of our coasts and ocean. 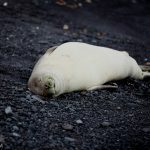 As you may have heard back in November, the Administration’s going so far as to target the Marine Mammal Protection Act of 1972 which it deems as an impediment to the oil industry because new safety rules imposed after the 2010 BP disaster in the Gulf of Mexico are too burdensome. (See H.R. 4239 and H.R. 3133.) Our Congress and the Trump Administration also wants to reduce penalties and oversight on industry as a whole, endangering the long-term health and future of our rivers and lakes. On the coastal and ocean front, they’re moving forward with a proposal to downsize or eliminate marine monuments and sanctuaries, a vast network of underwater blue parks including Hawaii’s half a million square mile Papahanaumokuakea, – the largest protected ocean wilderness area on earth. Along with supporting common sense ocean policies based on the best available science, we will also march to put an end to the plastic, petrochemical, and runoff that is contaminating our drinking water and putting our coastal economies at risk; we’ll march for clean energy – and a transition off offshore drilling and coal plants that are the major source of mercury poisoning of the seas and wild fish that people eat; we’ll march for neighborhoods and communities endangered by rising seas, intensified hurricanes, historic flooding, record heat, firestorms, and other climate calamities driven by greenhouse gas emissions. We will march to commit our lives, fortunes, and honor for a healthier blue planet based on equity, justice, and clean water for all. 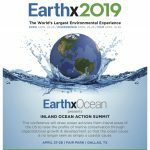 In marching together, we will also be demonstrating the emergence of a seaweed rebellion – a national grassroots network for the ocean. Like the giant kelp plant once it has found its holdfast, this movement has the potential to grow at a terrific rate. It’s a rebellion that can be seen from the social media of surfer activists (“No way, dude! We don’t want your crude!”) to the cleanup, rediscovery, and celebration of historic waterfronts in Portsmouth, Boston, Baltimore, Jacksonville, Galveston, San Diego, Long Beach, Monterey, Seattle, Seward, Hilo, and hundreds of other maritime communities large and small. It’s annual volunteer beach cleanups and citizen-science divers taking fish counts and clearing marine debris, it’s the establishment of citizen advisory panels for marine sanctuaries now under attack; it’s sailing trips and coastal hikes for at-risk youth and marine education programs such as the Harbor School on Governor’s Island off Manhattan, the Mast Academy of Miami, or the Discovery Hall Program at Alabama’s Dauphin Island Sea Lab. It’s sometimes angry and ongoing environmental protests at public hearings on coastal sprawl, offshore oil leasing, and disaster preparedness from Hawaii to storm ravaged Puerto Rico. It’s fun but messy restoration projects that can aid the ocean’s healing, on a muddy duck pond in Rhode Island, a coastal river in Oregon, or the soon to be below sea level Everglades of South Florida. It’s coalitions of fishermen and conservationists, marine scientists, and urban planners in the Northwest, fighting to restore the iconic wild salmon population and protect its damaged habitat from rural Idaho to urban Seattle or fighting to save the last best salmon run in Bristol Bay Alaska from an unpopular industrial gold mining scheme recently killed off and then reanimated by the Trump Administration. It’s a little girl sleeping snuggled up against her stuffed dolphin or squealing with delight when her father holds her in a wave. It’s our blue future. Want to learn more how you can make difference? You can play a role in how we influence and shape the direction of this country. 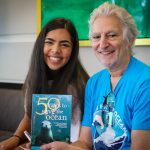 Join our March for the Ocean (M4O) mailing list. 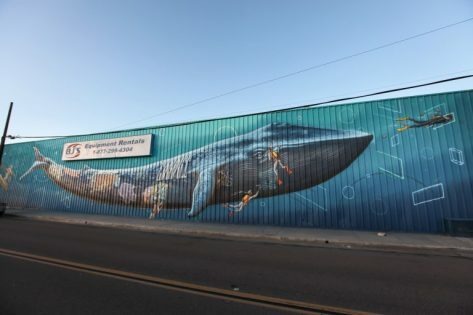 Watch our latest M4O videos featuring Wyland and many more! Like, Follow M4O channels on Facebook, Twitter, and Instagram. 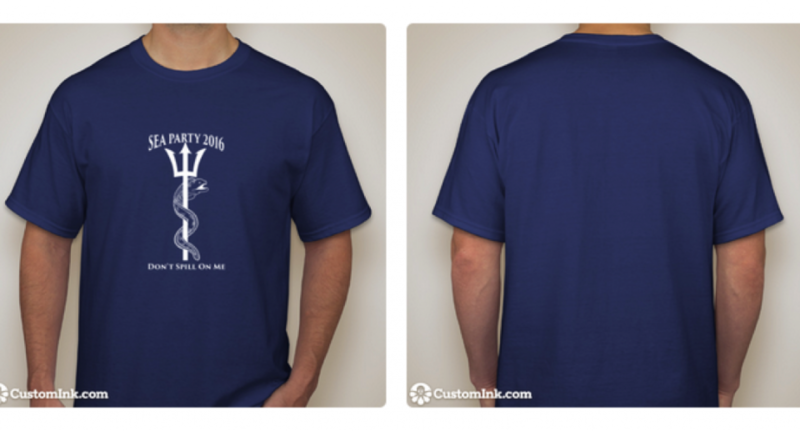 Become an official M4O Sponsor Today!